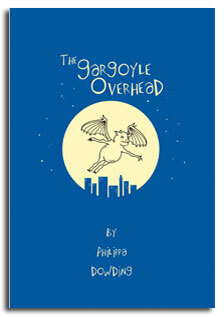 The highly respected Resource Links mag loves The Gargoyle Overhead! ...Dowding's protagonists are genuine and interesting… and readers will fall in love with both of them. I would love to see an illustrated edition, as the body language of Dowding's gargoyles is so much a part of their characterization. Posted by Napoleon & Company at 9:21 a.m.